3-7 Girls Floral Sunray Pleat Dress https://www.review-australia.com/au/3-7-girls-floral-sunray-pleat-dress/RE19RK026.RENVY001.html Cute as a button! This gorgeous floral dress comes complete with a round neckline, pleated skirt, and a belt! The perfect party dress for your mini-me! Cute as a button! 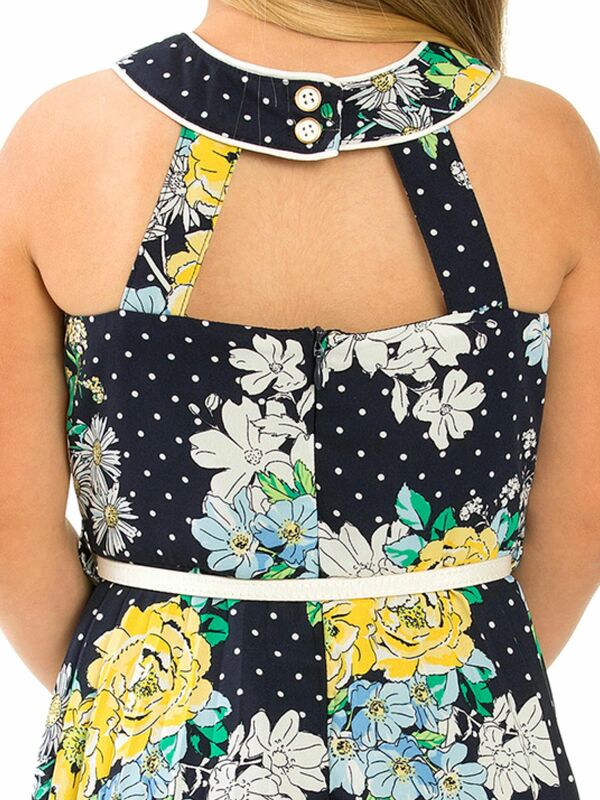 This gorgeous floral dress comes complete with a round neckline, pleated skirt, and a belt! The perfect party dress for your mini-me! 3-7 Girls Floral Sunray Pleat Dress is rated 5.0 out of 5 by 1. Rated 5 out of 5 by Radha Balan from A little stunner I bought this online during a sale. I have always been besotted with Review and own several dresses myself so I was over the moon when I discovered that they make dresses for little girls too. This was so gorgeous. The material was soft and I loved the design at the back. It even came with a mini belt. Now all Review needs to do is to make the same dress for mummy too!